Sometimes I eat lunch at Tudor City Park. It’s quiet and peaceful and close to the U.N. 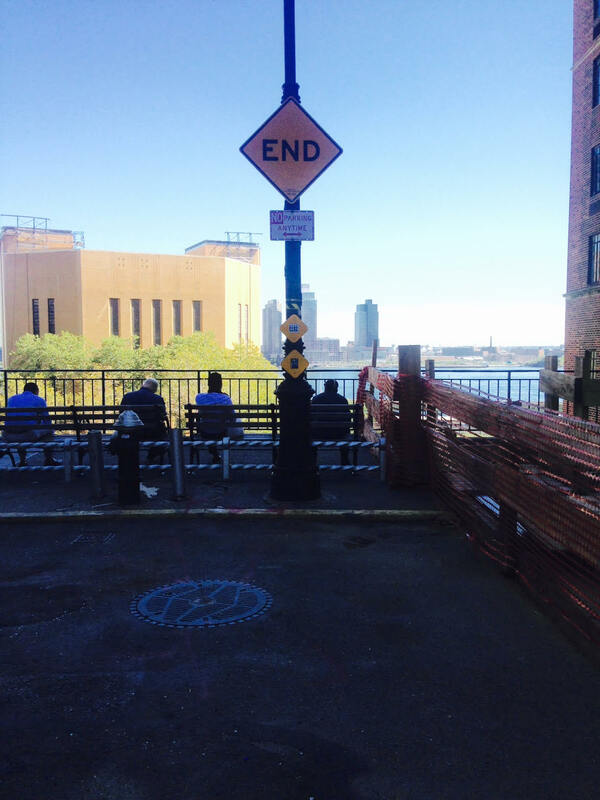 Afterwards, I walk towards the “END” sign and gaze at the East River. In light of the fact that Pope Francis will be in town tomorrow, I thought I’d catch a glimpse pre-paparazzi. Anyone else seen an “END” sign before? I love that park too…so peaceful. 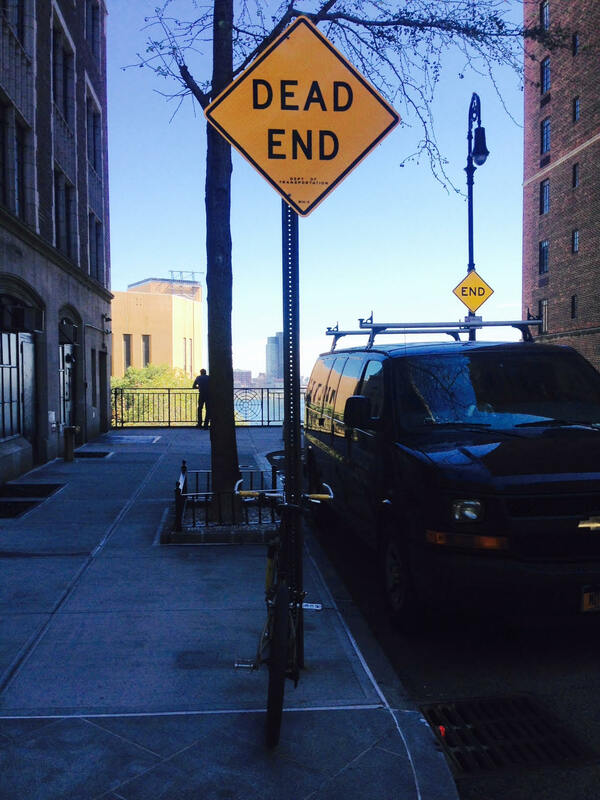 But, I’ve seen dead end signs, but never an “end”. So this is the end of the world as we know it? Yes, Nanc, it’s the end of the world as we know it, and we feel fine, LOL. Just so the signs don’t say End is Nigh. Exactly, Sharon. I noticed that there are several “END” signs in Sutton Place – saw them on the car ride home after working late on Thursday. Interesting.